When it comes to driving, slipping and sliding can hardly be considered good things, but Pioneer tries to put them to good use in a new touch slide interface which will become standard in its 2010 mobile audio lineup. The $1,200 AVIC-X920BT in-dash navigation system includes an interface which allows users to scroll through menu items simply by dragging their fingers across the unit's 6.1-inch WVGA color display, which is supported with graphics acceleration hardware. Active text present in many of the menus gives users one-touch access to many of the unit's features and voice technology allows many functions to be accessed without touching the unit at all. The unit gets its mapping from TeleAtlas, which includes complete street mapping for the U.S. (including Alaska and Hawaii) and Canada. 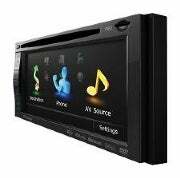 In addition to an iPod input, the AVIC-X920BT also has a microSD slot, supports DVD playback, has a Bluetooth adapter, and an input for a back-up camera. It's also ready for HD Radio and Sirius XM satellite radio. 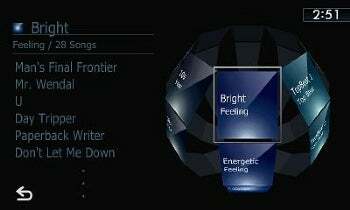 Pioneer's proprietary MusicSphere technology can analyze the music in an iPod and organize it into 40 "mood-based" folders. Users navigate through the folders by rolling a multifaceted on-screen sphere with sides with names like "Gloomy" and "Energetic." 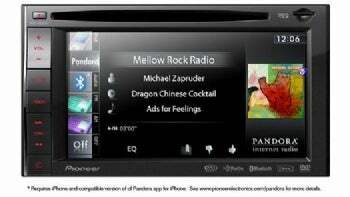 "Pioneer understands our consumers' lifestyles," said Ted Cardenas, director of marketing for the mobile business group at Pioneer Electronics. The AVIC-X920BT also offers ECO Driving technology, which assesses the way you are driving, taking into account factors like speed and acceleration, and generates a score that lets you know how "green" your driving is. Also included is a dedicated Pandora Radio button which works with the Pandora application in an IPhone or iPod.